iPhone stuck on iTunes and cable screen (recovery mode)? Actually, it’s a common problem that iPhone stuck in recovery mode during update or jailbreak, especially for iPhone 5/5s. Don’t worry. This post will tell you 2 easy and efficient ways to exit iPhone 5/5s recovery mode without restore, which is equivalently applicable for iPhone X/10/8/8 Plus/7/7 Plus/6s/6s Plus/6/6 Plus. When you find your iPhone 5/5s stuck in recovery mode, the first and foremost method you may try is to exit recovery mode on iPhone with buttons. 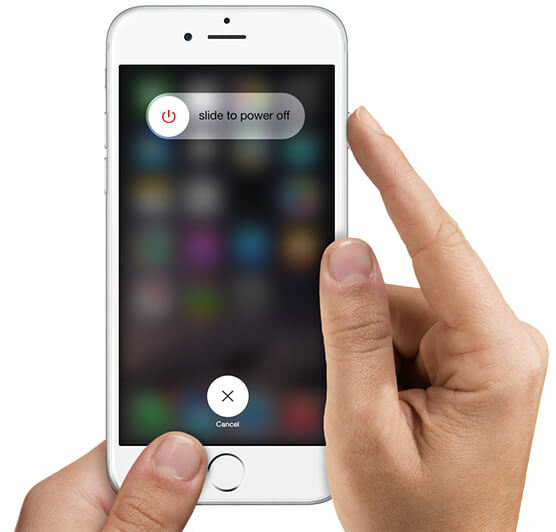 Hold Home button + Power button (Sleep/Wake Button) for about 15 seconds to shut off iPhone. Press the Power button to boot your iPhone. What if you failed to get out of recovery mode on iPhone 5/5s manually or you are using an iPhone with broken home button? The following two methods will help you get out of recovery mode with broken home button. iTunes is a frequently used tool to move iPhone out of recovery mode by restoring. But what if iPhone 5/5s stuck in recovery mode and won’t restore? An free iOS system recovery tool, Any iOS System Repair (ReiBoot), can fix iPhone 5/5s stuck in recovery mode without iTunes and get iPhone out of recovery mode without losing data. This super easy software allows to fix iOS stuck within one click, which works for iPhone/iPad/iPod Touch with iOS 12/11/10, etc. Step 1: Download and install Any iOS System Repair (ReiBoot). 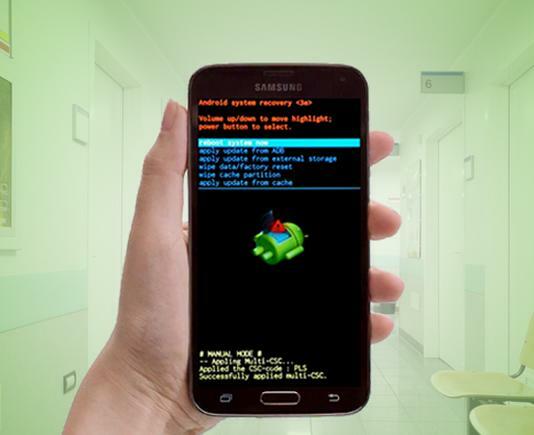 Launch Any iOS System Repair (ReiBoot) after installing. Connect your stuck iPhone to PC/Mac. Step 2: Once it detects your device, the “Exit Recover Mode” option will be highlighted. Click “Exit Recovery Mode”. Step 3: Wait a few seconds for the process to complete, then your device will restart. This free iOS reboot utility can kick iPhone out of recovery mode easily can quickly. Moreover, it is able to fix other iOS stuck, like iPhone stuck in Apple logo/DFU mode/black screen/reboot loop etc. Restoring with iTunes is the most used method of bypassing iPhone recovery mode. However, it’s also risky since it may cause data loss. If you decide to adopt this method, follow the guide below. Step 1: Launch iTunes. Connect your iPhone 5/5s to your PC/Mac with a lighting cable. Step 2: After detecting your device, a message will pop up saying that your iPhone is in recovery mode, and you need to restore it before connecting to iTunes. Click “OK”. It will bring iPhone out of recovery mode. Note: All your data will be wiped off if you restore your iPhone. You need to make sure you have backup before restoring. If in any case you lose your data and want to recover, please see below. This post offers two easy and effective ways to fix iPhone 5/5s stuck on recovery mode. Considering that restoring with iTunes will cause inevitable data loss, Any iOS System Repair (ReiBoot) is highly recommended for exiting recovery mode with one click. If you have other problem, please leave your comment.